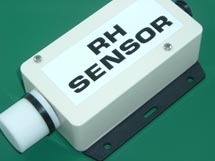 This sensor is designed to general commercial applications and provides relative humidity and temperature outputs. 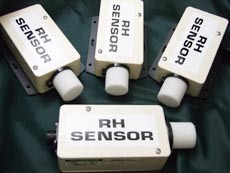 The robust sensor is housed in a polycarbonate enclosure with nylon mounting flanges. A white permeable replaceable filter protects the sensor element. All connection is made via a weatherproof locking connector. The supply voltage is 12v dc at 20mA. 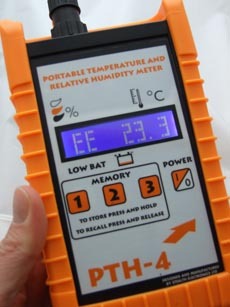 The Relative humidity output signal is 0-1v for 0-100%. Working RH% range of 20% to 95%. RH% accuracy +/- 4%. 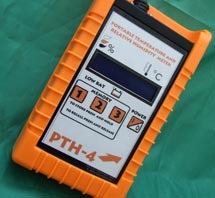 The temperature output is provided from a thermistor sensor with an accuracy of 0.2c. Working temperature range of -10.0c to +50.0c. Annual recalibration recommended. Electrical connections are made via a 4-way twist and lock AMP connector.